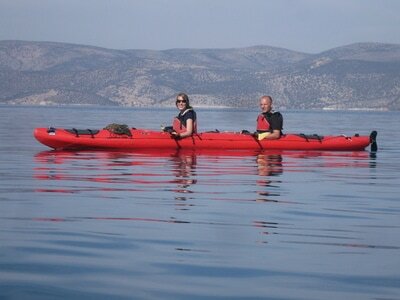 Starting from of Naxos we paddle to the south and pass Ag. Prokopis, Ag. Anna, and camp to Aliko beach. Our next destination for day 2 is Iraklia, and along the way we will stop at Alimnias beach. 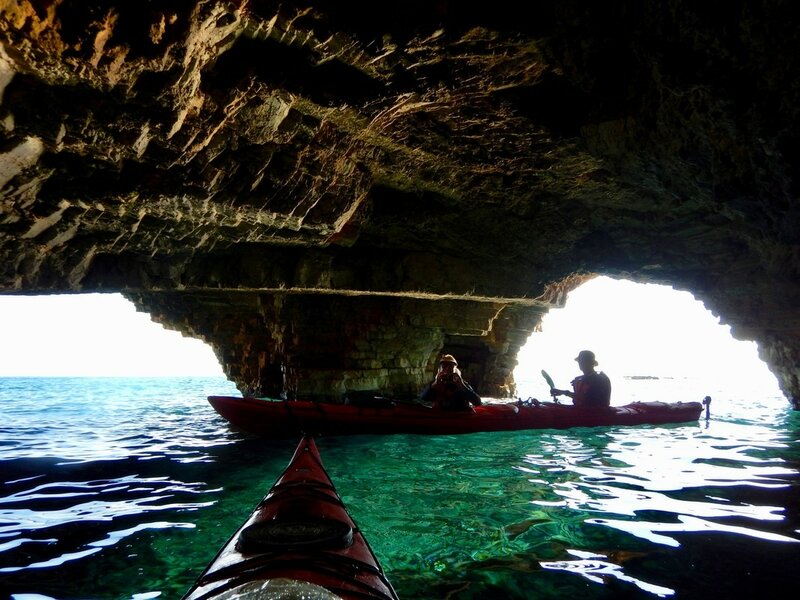 On day 3 we paddle to Schinousa to explore the beautiful coast. The south coast of Kato Koufonisi is full of hidden beaches which wait for us to explore and camp on for 2 nights. After 6 days we cross back to Naxos. 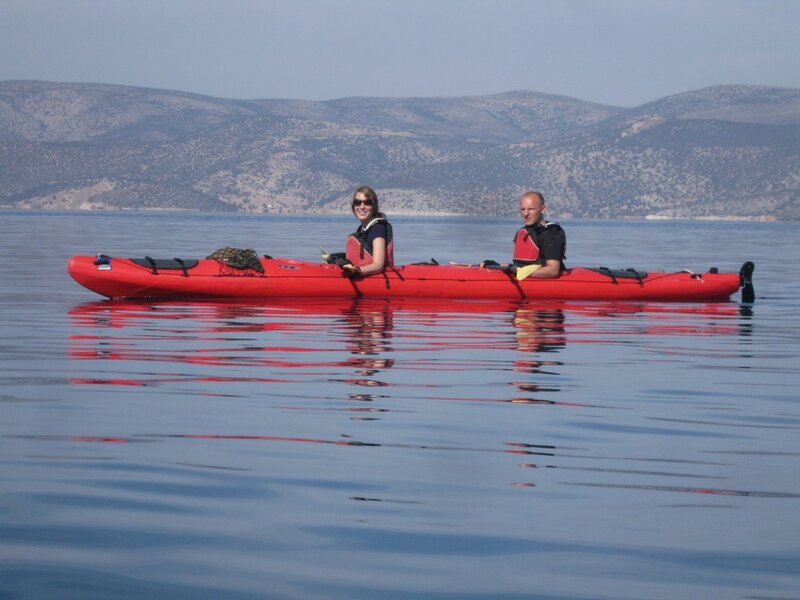 Starting from of Naxos we paddle to the south and pass Ag. Prokopis, Ag. Anna, and camp to Aliko beach. Our next destination for is Iraklia. 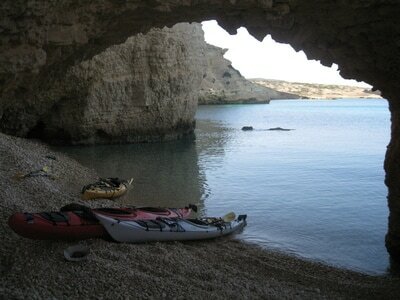 Let's paddle, and along the way we will stop at Kalantos beach on Naxos. We camp on Iraklia for 2 nights and prepare for circumnavigation. 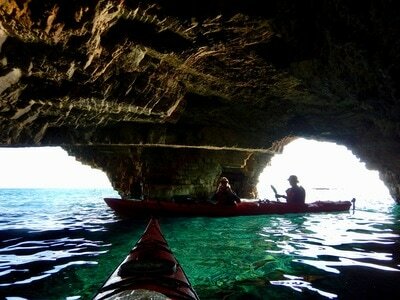 Paddle to Kato Koufonisi Camp and explore caves and small islets. Prepare for a unique coastline with big walls and secluded beaches. The following checklist is a guideline for your trip. Contact us if you have any questions. Two pairs of shorts and swimming gear. One pair of sand shoes or running shoes. One pair of sport sandals (e.g. Teva or similar) or paddle booties. One pair of lightweight, quick drying, full length trousers. Lightweight long-sleeved shirt is recommended for protection from insects. Lightweight woollen jumper or fleece jacket. One long sleeved thermal or polyester top is recommended while paddling for sun protection or warmth in rainy conditions. Lycra rash vest is also suitable. Wide-brimmed hat for protection from the sun is essential. Sun visors are inadequate. A hat with a stiff brim that will hold rigidity in a breeze, and a chin-strap to keep on in the wind. A scarf made from a light material such as silk, to protect your neck, is useful for sun protection. Small towel (a chamois towel is ideal). Personal toiletries (biodegradable salt water soap may be desired). Good waterproof sun cream and lip balm. Sunglasses with a cord or string for attaching them to prevent loss.